At the hottest and most humid month, after one month Blitz, we engage in a training session that demands not only extreme fitness but also correct and careful technique. Twelve months of the yearly training cycle always finish with the infamous AKBAN 120. In the AKBAN 120 we spar in one minute rounds, different partners each round, for two hours, 120 minutes, non-stop. 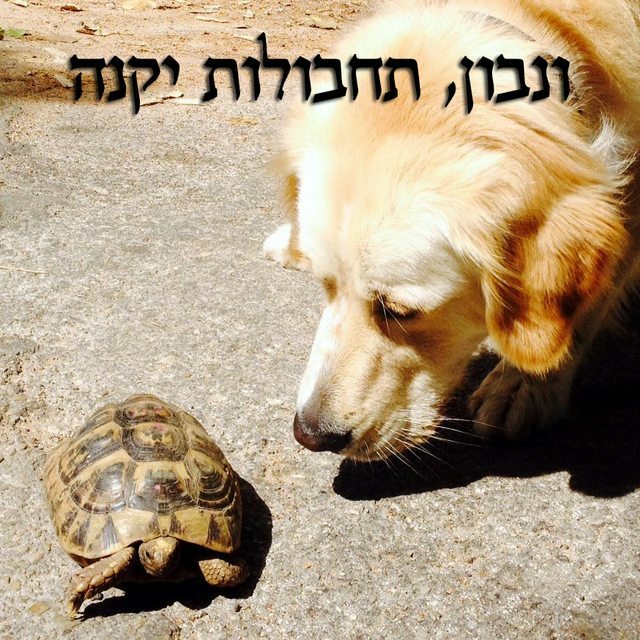 The “120” will take place in Tel Aviv, this Wednesday, August the 30th, between 6PM-8PM. I’ll send the exact location on our WhatsApp groups. As Ran shows in the video, this is AKBAN Tel Aviv in August, be prepared for high humidity. Bring water and protective equipment. This Friday, 15.4.2016, at 08:00 sharp, we will have a special seminar in Tel Aviv dojo. During the week we will continue to work on bi-lateral techniques of mutual nagare work, and continue this drill into the trap kata of upper levels in Kukishinden Ryu. Further down this short post, I attached an image gallery from AKBAN Greece seminar, last week. Videos soon to follow. This Thursday we will be integrating the interplay between armlocks and throws in Ninjutsu and focusing on the difficult over-under wrestling clinch. 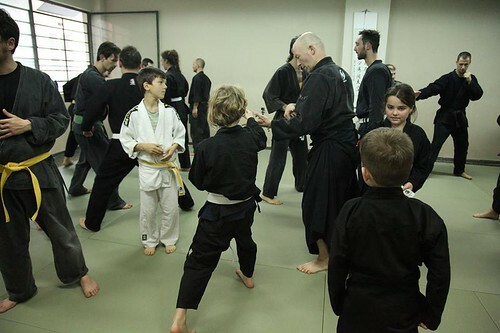 We will start with regular Gi grip and explore Muso dori, Musha dori and the Osoto gake throw. As usual, please bring punching gloves for kata training. This Tuesday we start from the 5th, distance control, super-combo. We will try to finish at least 3 bifurcations of this combo. The fourth combo, the Kanstesu waza, will be incorporated on both sides with 3 bifurcations each. The three timing combos will get one more bifurcation. Boxing gloves are essential. A reminder: Our dojo has moved up for the summer. 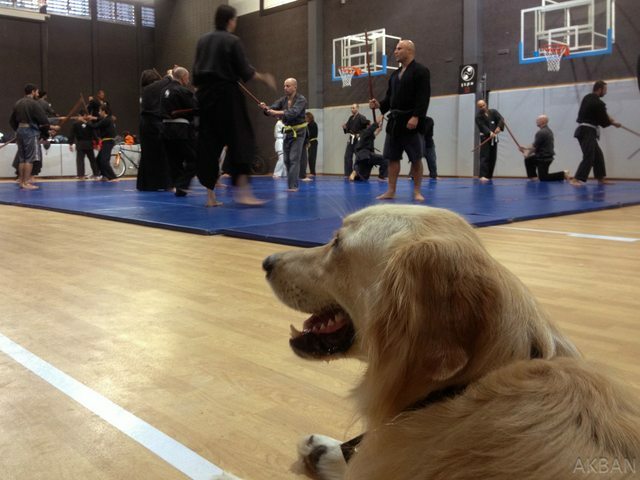 We will be training at the third floor of the school’s building because of the renovations of our dojo. AKBAN Tel Aviv, 294 Hayarkon St. In the video we can see that telegraphing your intent with consecutive switches (Yoko Aruki) is never good. The nice part is the t-shirt wearing veteran shortening the distance as a defense against a Mikazuki kick. This part of the tai sabaki is sometimes overlooked because of the emphasis on evasion and defense. The most important part, of course is the small, almost unnoticeable, handshake, it determines the mood for the whole randori. We will meet again today at 18:00 at the supreme court meadow to spar till 20:00.